For more than three decades, Dr. Gabor C. Temes’ research into analog signal processing has had a profound and broad impact on the quality of sound and data communications. His research in analog and digital signal processing and mixed-signal integrated electronics has been prolific, progressing from classical network theory to active filter synthesis to monolithic filter and data converter design. Without his work on analog-to-digital converters, DSL or cable-modem Internet connections would be much slower than they now are, and the data density of hard disk drives would also be lower than that in today’s systems. As professor of engineering at Oregon State University in Corvallis, Dr. Temes has been a leading authority on delta sigma data converters. His research on filter design, optimization methods and low-sensitivity filter structures helped significantly the explosive growth of analog signal processing in MOS integrated circuit technologies during the last 30 years. His work in switched capacitor filters helped define communications chips in the 1980s by conceiving fundamental design methods for them. 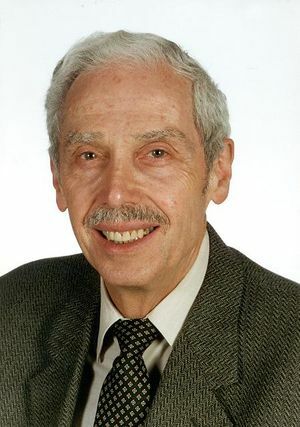 As an educator, Dr. Temes has been responsible for several seminal texts on analog signal processing and has co-authored several widely used reference books, including "Introduction to Circuit Synthesis and Design," "Modern Filter Theory and Design," "Oversampling Delta Converters" and "Delta-Sigma Data Converters." He has published about 300 papers and conference proceedings, including a paper on switched capacitor circuit design considered to be the most complete summary of switched-capacitor filter design methods. He holds 14 patents and also has organized hundreds of global short courses on signal processing topics. An IEEE Life Fellow, he is a recipient of the IEEE Centennial Medal, the Andrew Chi Prize of the IEEE Instrumentation and Measurement Society, the IEEE Graduate Teaching Award, the IEEE Third Millennium Medal, and the IEEE Darlington Award of the IEEE Circuits and Systems Society. Dr. Temes holds degrees from the Technical University of Budapest in engineering and Eotvos Lorand University in Budapest in physics, as well as a doctoral degree in electrical engineering from the University of Ottawa in Canada. This page was last edited on 26 January 2016, at 15:22.